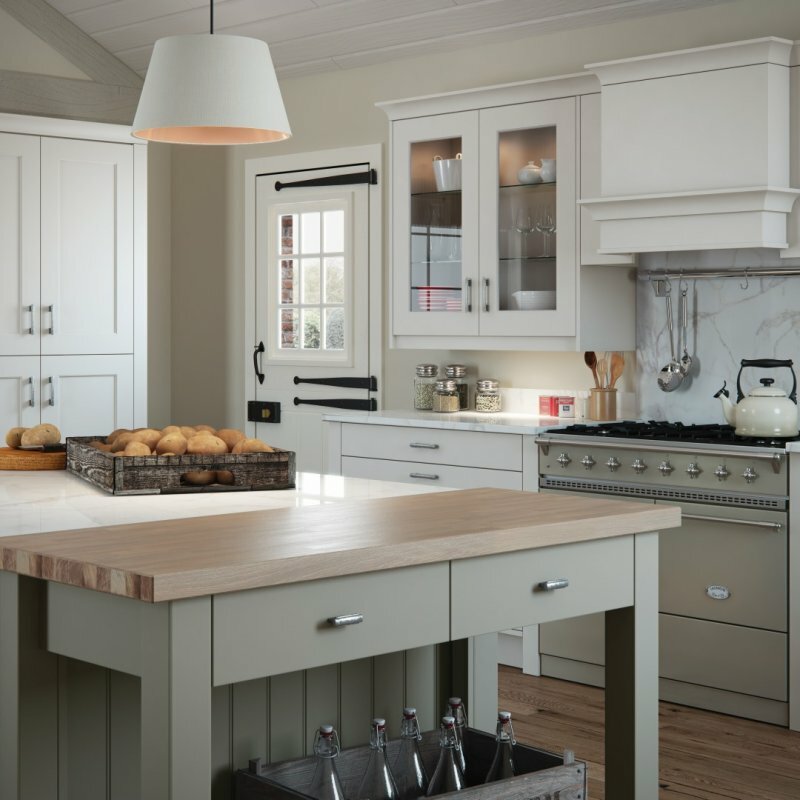 The internal beading on the center panel of this shaker-style door adds a refreshing element to its design, further enhanced by a smooth painted finish. 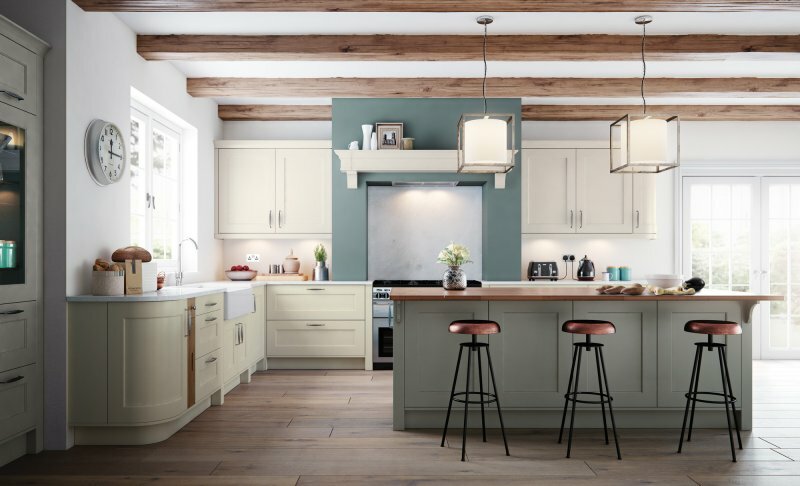 Mix with various accessories and colours to achieve a kitchen that is stunningly stylish and affordable. 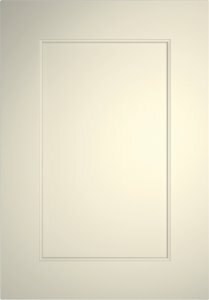 This door can be painted in Porcelain, Mussel, Light Grey and Stone from the Stori standard colours or any farrow and Ball colours. 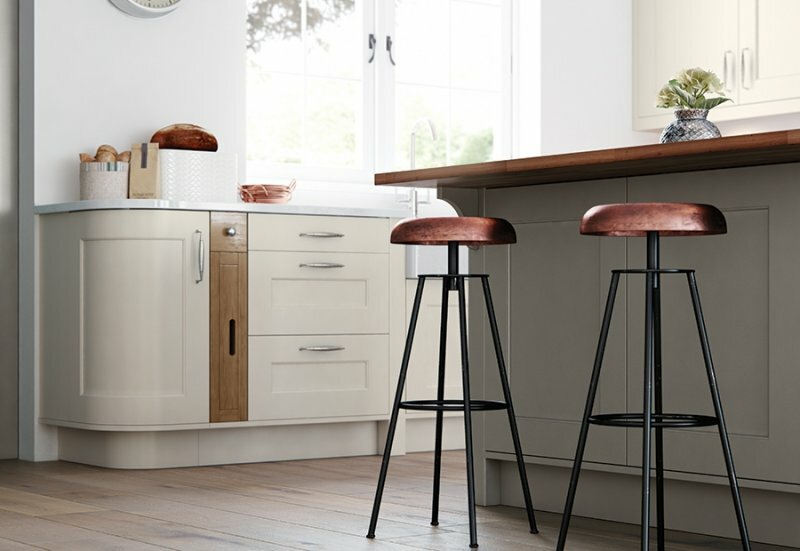 Curved doors and oak tray sets are just some of the features in the beautiful Florence range. Complement the look with a classic chrome door handle. The pairing of stone and light grey provides a serene look and feel to which bold accents can be added. 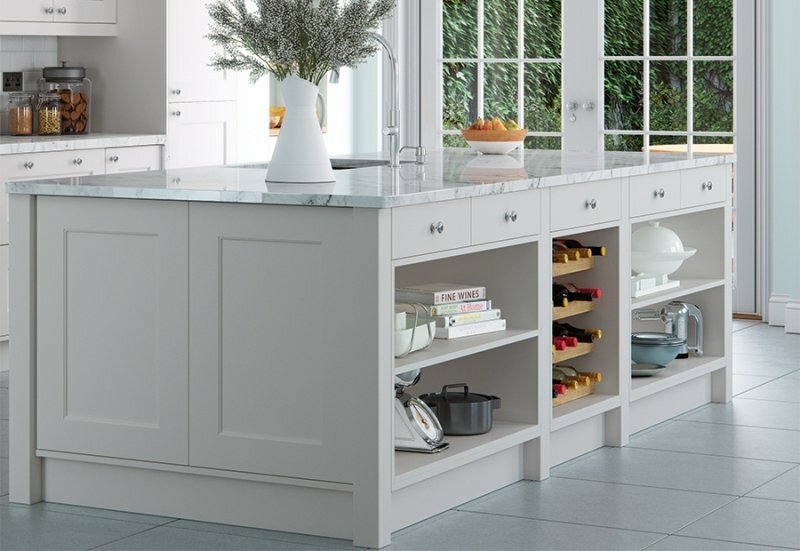 Modular pilasters further adds to the overall design element of the kitchen. 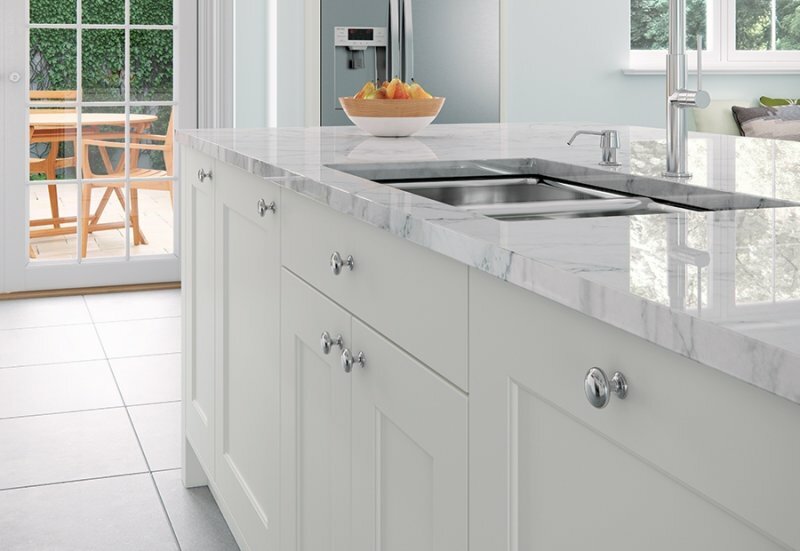 Florence gives you creative licence to incorporate many design features into your kitchen thanks to its extensive range of accessories. 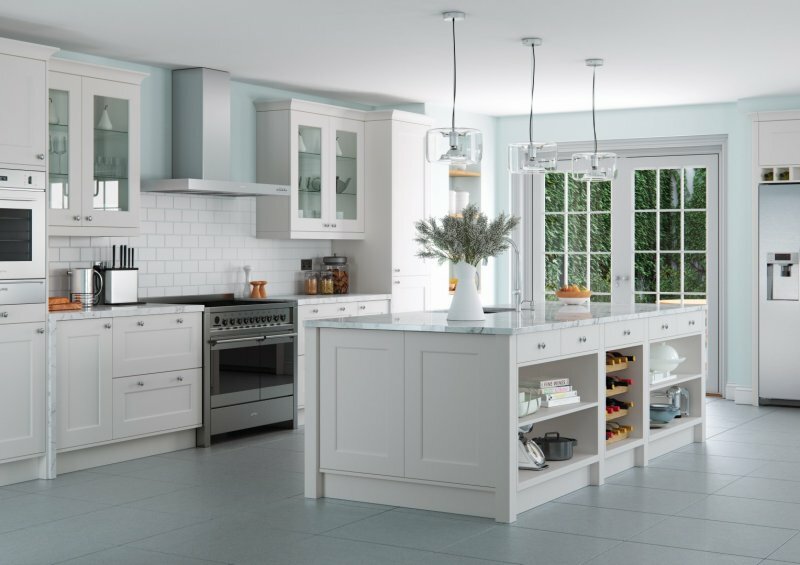 Clear glazed frames, pastry benches and classic canopies are just some ways to achieve a classic look. 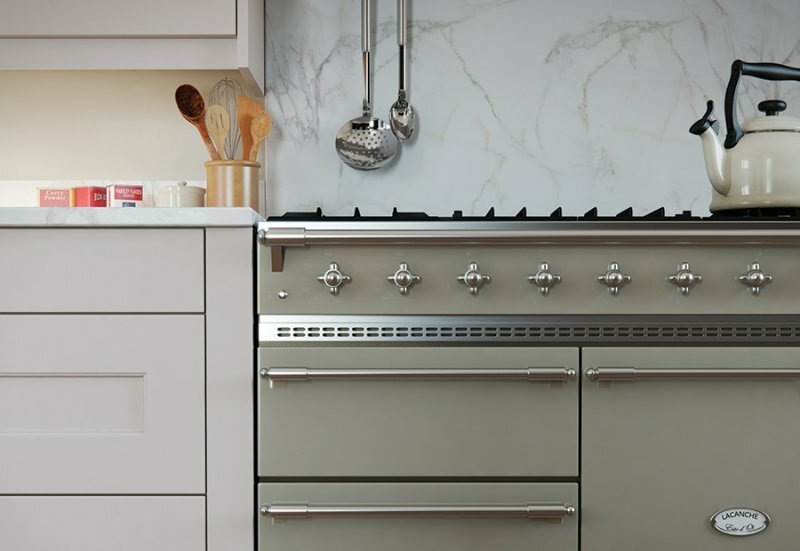 A perfectly appointed central island unit can provide much needed extra counter and drawer space for cooking and entertaining. Keep wine bottles neatly and safely stored by including a wine rack in your kitchen design. Or position it high up to keep out of reach of little ones! 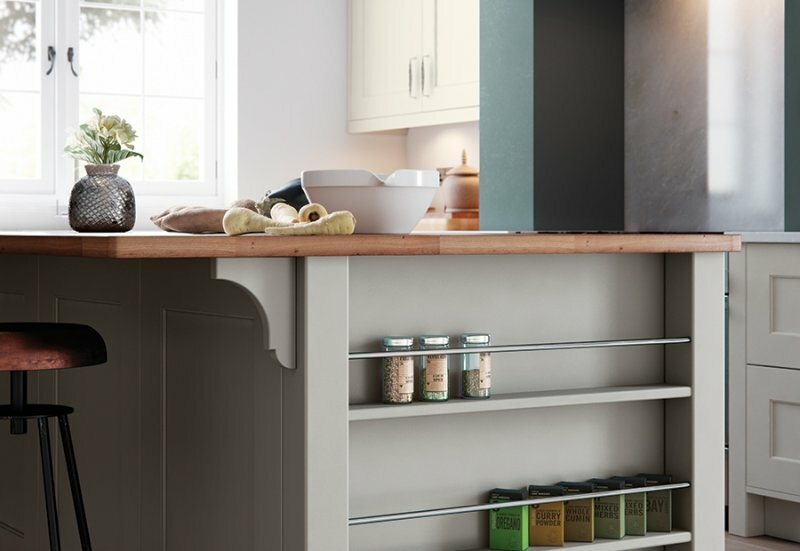 Include quadrant accessories to create perfect curves at every corner of your kitchen. 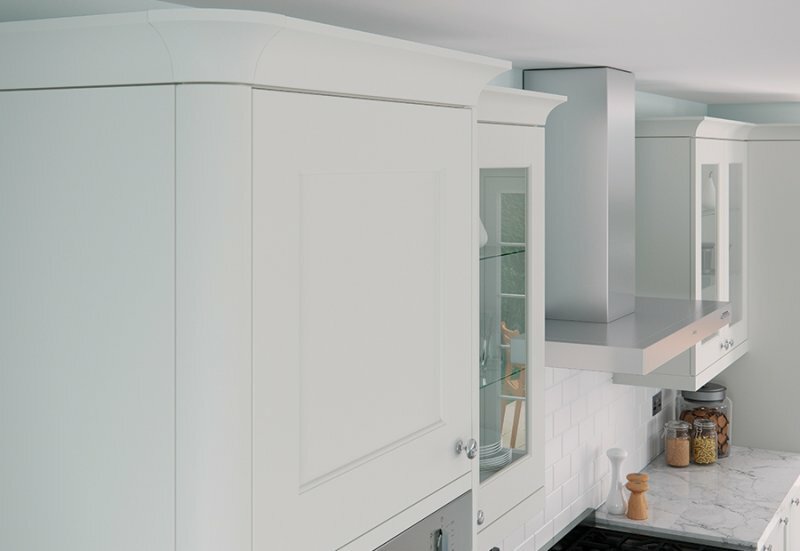 Here we focus on the quadrant cornice, cornice block, moulding and light pelmet. Standard colours, or we can paint match to any Farrow and Ball colour.